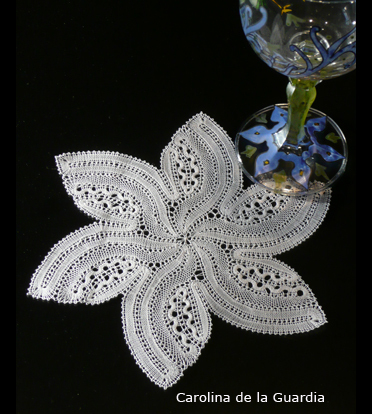 Now available in format pdf., patterns that I have published in different lace magazines in last years. 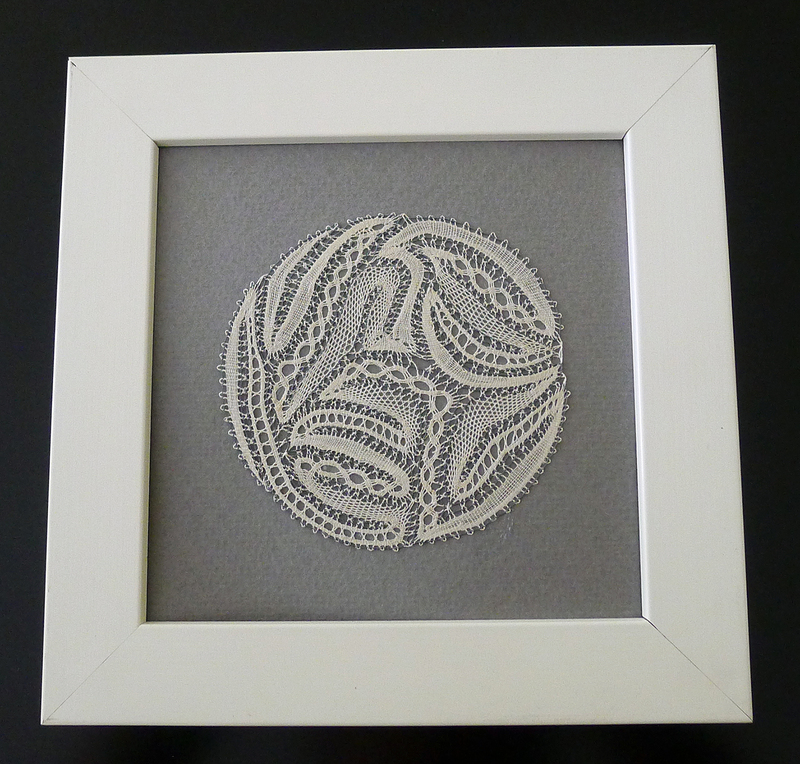 This piece is worked in Hinojosa lace. Ideal for beginners in their fisrt steps. 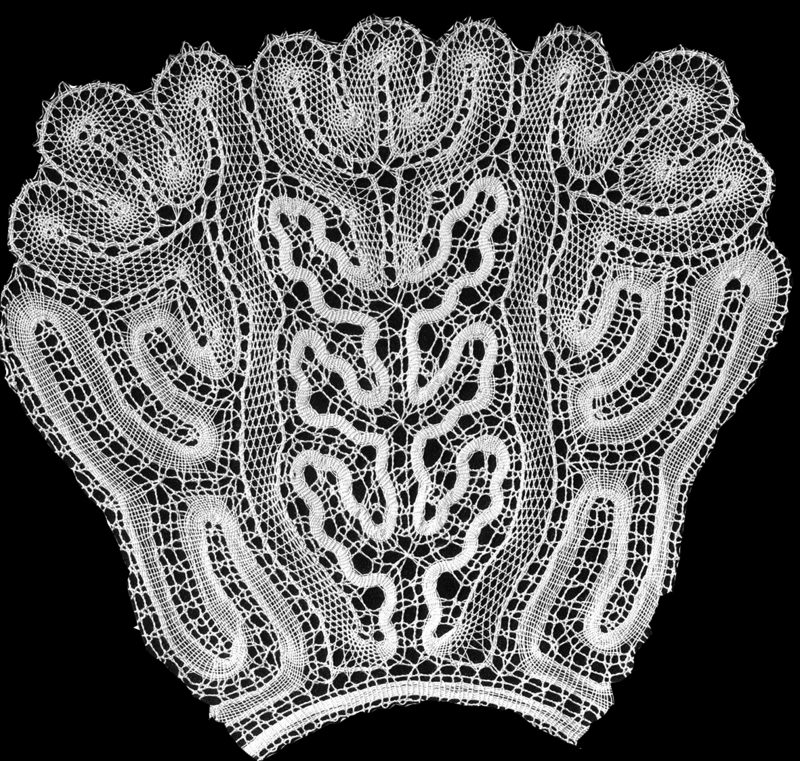 Basical stitches can be practised. Size: 15 cm. Thread: Cotton #80 10 pairs of bobbins. Tap on the image for a closer view. 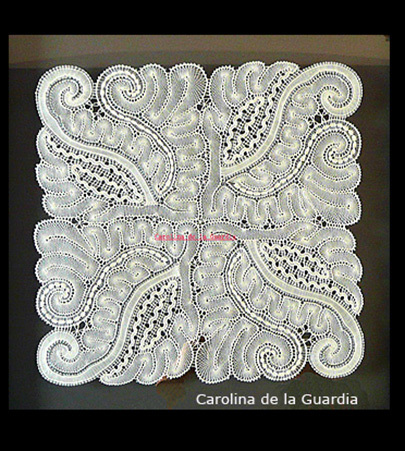 This is a very special hanky worked in Hinojosa lace, for a very special ocassion, Worked with white silk Argentia (B&F). Level medium. 10 pairs of bobbins. 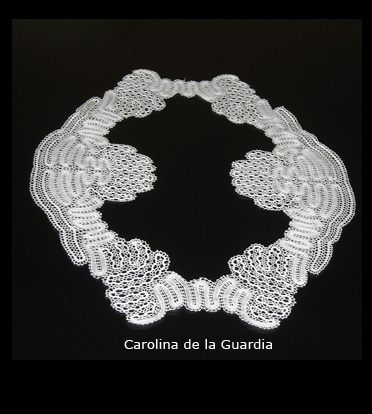 Size: 20 cm. 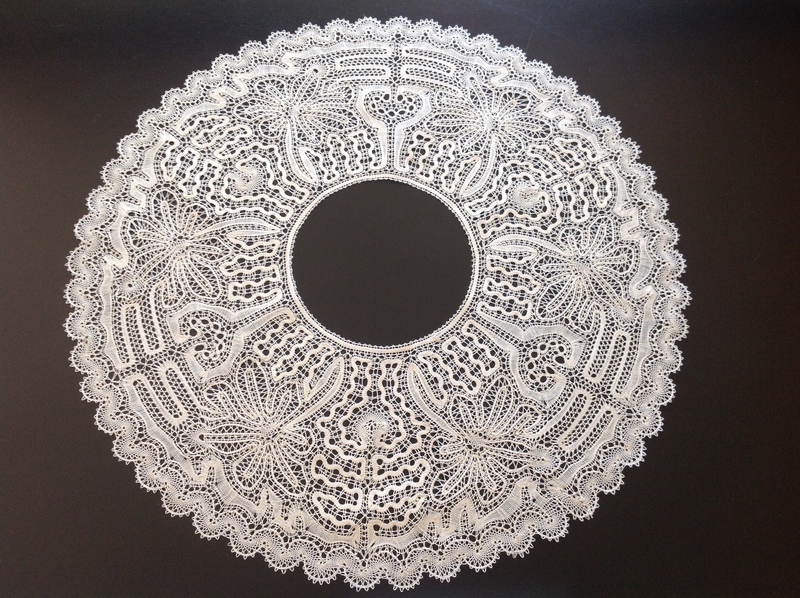 Octagonal shaped doily worked in Hinojosa lace. Size: 25 cm. Thread Egyptian cotton 100/2 10 pais of bobbins. Level advanced. Tap on the image for a closer view. Assimetric piece to be mounted with fabric. Worked in Hinojosa style. 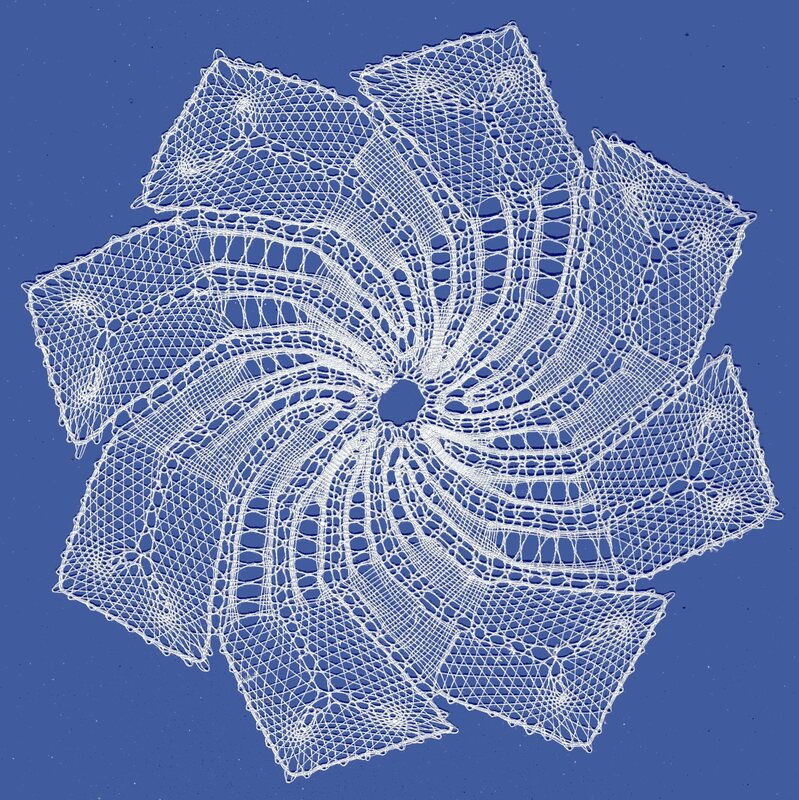 Thread: cotton #80. Level medium. Tap on the image for a closer view. 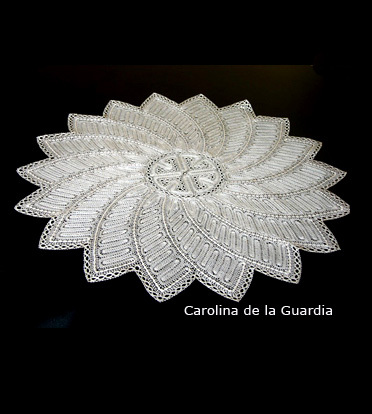 This pattern is worked in Hinojosa style. Size: 32 cm. Thread: cotton#60 Level: Easy 10 pairs of bobbins. Tap on the image for a closer view. For the center are needed 7 paire of bobbins and 8 pairs for the outer part. Tap on the image for a closer view. 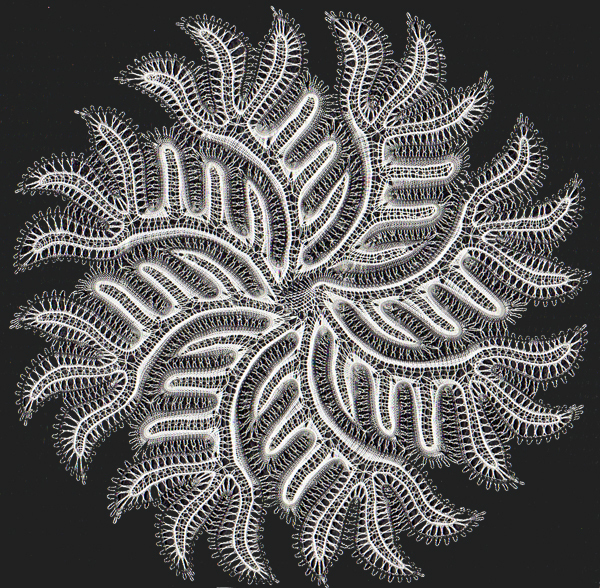 This mat is worked in Hinojosa technique. 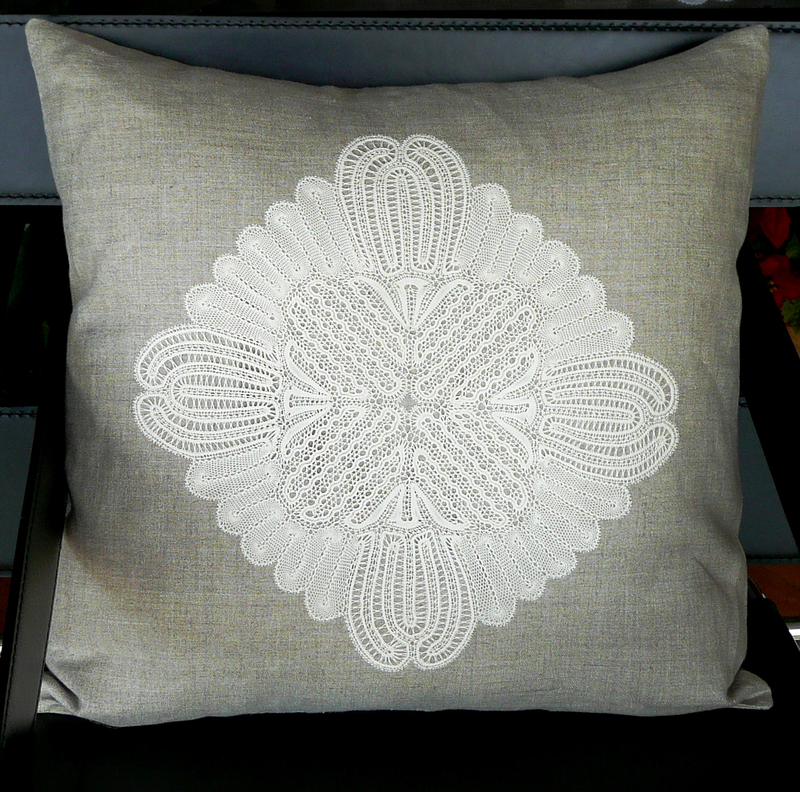 Size: 70 cm Thread: linen #100/3 Level: Medium . Tap on the image for a closer view. This mat is worked in Hinojosa technique. 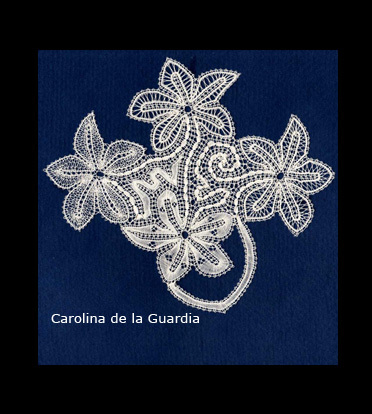 Size: 36 cm Thread: cotton#80 Level: High Tap on the image for a closer view. 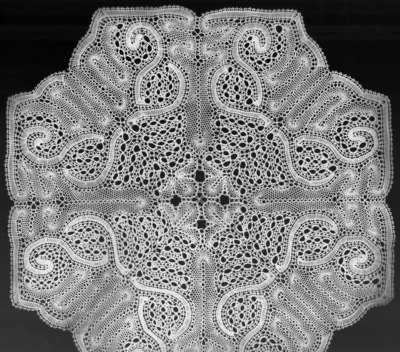 This little doily is worked in Hinojosa technique. Size: 15 cm. Thread: cotton#80 Level: High Tap on the image for a closer view. 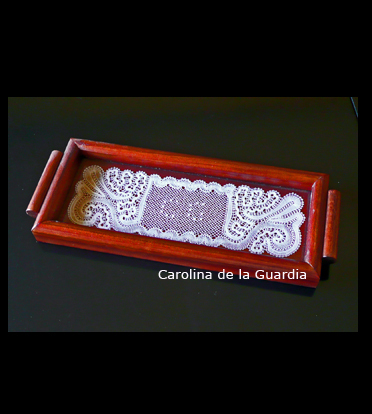 The centre is filled with torchon ground and it can be customized with initial letters worked with square tallies. Ask for pattern of the letters needed. There are a set of twin pieces. One is worked in ecru and grey colors and the other in black and ecru colors. The result is a dark and/or light appearence.